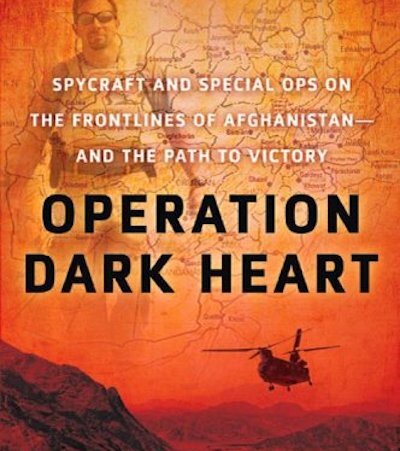 Last week, the US Defense Department agreed to partially uncensor Anthony Shaffer's memoir, Operation Dark Heart. When the book was first published, in September 2010, it contained classified information about Shaffer's experience as a military intelligence officer in Afghanistan. To prevent the book's distribution, the Defense Department bought the entire first printing and incinerated all 9,500 copies. It was reprinted two weeks later, with 433 redactions imposed by the Pentagon, 198 of which have now been rescinded. Several dozen copies of the unredacted first printing remain in private ownership, and The New York Times printed a side-by-side comparison of the censored and uncensored editions on 18th September 2010.